Logicentrix (Pvt.) Ltd, a fully-owned subsidiary of Dart Global Logistics (Pvt.) Ltd, has ventured into the development of a state-of-the-art logistics centre, at the Muturajawela Logistics Park. 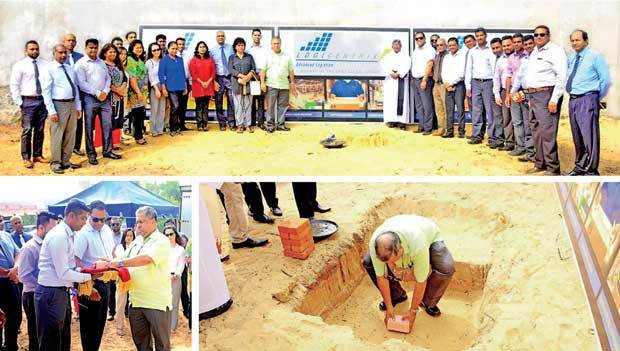 The foundation stone was laid recently by Group Managing Director Charles Wijesundera with the Dart Global and Logicentrix management teams in presence. Logicentrix is the logistics wing of the Dart Global group, which manages multiple business verticals spanning across 3PL and supply chain solutions, valuable cargo management (agents for Ferrari logistics), e-commerce logistics and project logistics. The new project is launched to the market under its supply chain solutions vertical, which offers value-added multi-faceted services to the upward and downward streams of the client supply chains and the new logistics centre will add significant value to the market with multiple 3PL solutions, covering a wider spectrum of industries. Cutting-edge technology will be a key focus in this new project, where the facility will be powered by green energy sources, which in turn will make it the only green facility of its kind in Sri Lanka.